Home decor influenced by modern design has seen a resurgence in popularity in the past few years, with homeowners and apartment dwellers eschewing traditional style in favor of a mid-century modern aesthetic that was at its height in the 1950s. The mid-century modern design movement is an architectural, interiors, product, and graphic design movement that spanned several decades, starting in the early 1930s and continuing through the early 1960s. Mid-century modern designed influenced both residential homes and urban development, including home furnishings, accessories, and appliances. It is a style that scholars and museums hail as an important design movement globally. The seeds of the mid-century modern aesthetic in the United States were rooted in the International and Bauhaus movements, including Le Corbusier and Ludwig Mies van der Rohe. The American version of mid-century modern style is simpler, more streamlined, and less formal that what is referred to as International Style. Mid-century architecture heavily impacted American residential and business structures and is credited with bringing modernism to the post-World War II American suburbans. Along with home design, the style also dramatically affected the look of American home furnishings and accessories. Perhaps no room in the home is more emblematic of mid-century modern design spaces than the living room, and boundless examples of mid-century modern living rooms with requisite furnishings and accessories are available. However, one accessory is more of a mystery: the contemporary rug. Put aside the design and color of the rug, and look first for a company that offers beautifully made rugs, These are usually made with natural fibers, such as wool or silk, and created using centuries-old techniques, such as hand-knotting. Only the designs distinguish them from the traditional handmade rugs of the past. Mid-century modern style harkens back to the earlier and simpler tribal or nomadic designs. These rugs, with simple, graphic designs and brighter colors, are quite compatible with modern design. For instance, kilim rugs with their traditional designs, appear modern in their minimalist patterns and vibrant hues. One of the reasons that classics endure is that their familiar and well-loved designs add to the embellishment of any space. A transition rug combines traditional Oriental rug designs with a contemporary style or color. Don’t think that your area rug has to match your modern design exactly. Sometimes a complementary look that brings in eclectic influences is just the accent you need to complete your living space. If you look through books and websites that feature pictures of mid-century modern living rooms, you will find a good number of them that are furnished with classic antique and vintage Oriental and Persian rugs. Again, these designs have persisted because they are so versatile. A classically designed rug will always work in your home, no matter what style you are into this year and in years to come. There are certain rules that apply to choosing a rug, no matter what the design motif of your living room is. First, you want to arrange your furniture into a floorplan, either floating (so that all the legs of the furniture are on the rug) or classic (with only the front legs of the furniture on the rug and the furniture backed against the wall.) This will help to dictate the size of your area rug. Next, consider how much traffic your rug will get to help determine color and fiber. Wool flat-woven rugs are especially durable and dirt-resistant. Then, you want to coordinate the color with the furniture. If your furniture is a solid hue, you might think about a patterned rug. Conversely, a monochromatic rug in one of the main colors of your palette works best with patterned furniture. To coordinate gracefully, make sure that a secondary color in the rug matches key furniture pieces, such as a sofa. In modern-style living rooms, where clean lines are de rigueur, the rug may be a neutral backdrop to dramatic furnishings or it may be the star while the modern-style furnishings are more neutral. Finally, always get a rug pad, to ensure that your rug stays where you put it. Because color has such a profound impact in the feel of a room, it’s a topic that deserves close attention in planning an interior space, including while choosing a rug. Mid-century colors usually blend darker, neutral tones with bright or deep accent hues. As with any room, you will likely want to avoid having too many colors. Use the 60-30-10 rule, in which the room colors should be 60% dominant base color, 30% secondary color, and 10% accent color. Avoid picking more than 3 to 4 colors, especially with modern-style living rooms, which are meant to be calming and easy on the eye, rather than frenetic. Your rug will be one of the largest elements in your room. Whether you choose the rug first and let that drive your color choices or buy your other furnishings first and choose the rug last, make sure that you give careful consideration to the overall palette and combination of colors. The best of modern design is a classic all its own and while it can be neutral or colorful, it’s anything but bland. Knowing that a rug is one of the most important design statements you can make in a room, think of your rug as art for the floor. Before you spend a penny on accessories or furnishings, invest a bit of time in research, and seek out photos of the many expressions of mid-century modern style. You’ll be surprised by how fresh living rooms from decades ago look today. And when you’re ready to make your purchase, don’t go with the safe choice--go out on a limb and find an area rug that really speaks to your heart. You won’t regret it. For a gorgeous selection of contemporary, transitional, and traditional rugs, visit The Rug Warehouse web site or make an appointment at our Los Angeles showroom by calling 310-838-0450. Nice blog, I really appreciate it. It is nice to décor area with rugs. A rug can make your house perfect and decorative. I am also choosing rugs from https://therugmall.com/product/amer-contemporary-amanya-ama-1-area-rug-collection/ , they have a nice collection you must check it out. 57 1 Nice blog, I really appreciate it. It is nice to décor area with rugs. A rug can make your house perfect and decorative. 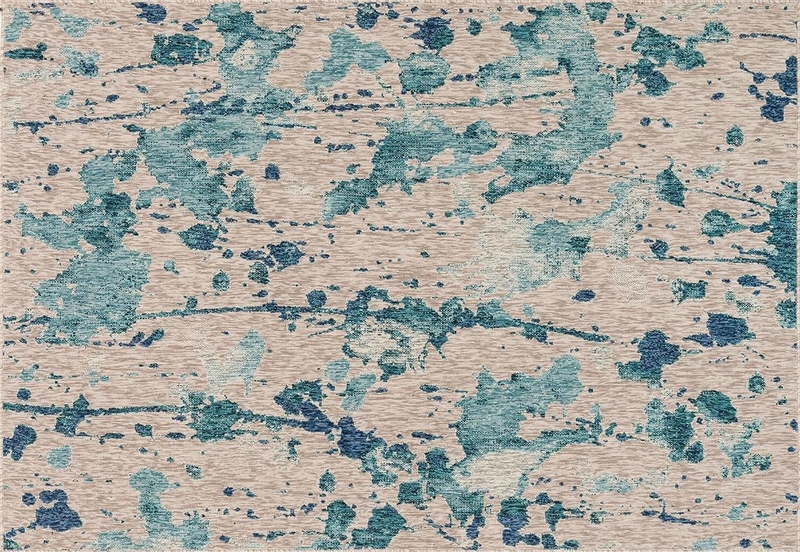 I am also choosing rugs from https://therugmall.com/product/amer-contemporary-amanya-ama-1-area-rug-collection/ , they have a nice collection you must check it out.